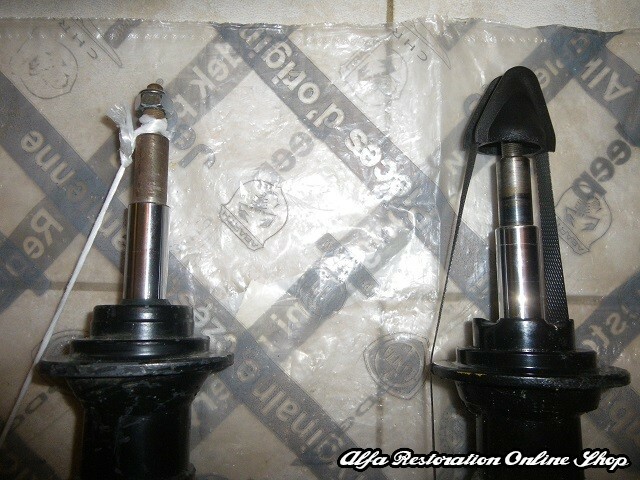 Alfa 33 905 Series (1988-1990) front shock absorbers. 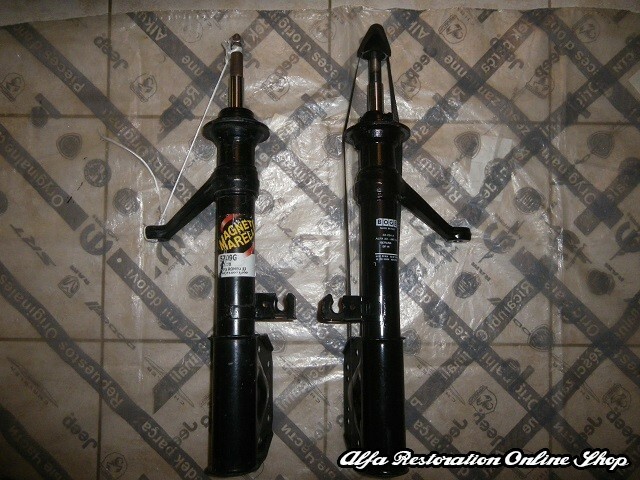 We have located a pair of front shock absorbers for the 905 series Alfa 33 (1988-1990 models) which feature the yellow strut bearing. 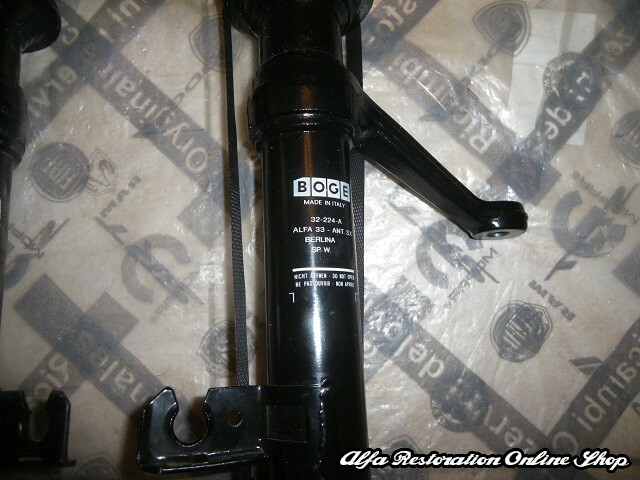 These shocks have long been out of production from Alfa and BOGE and it is a high opportunity to get them at a very attractive price! 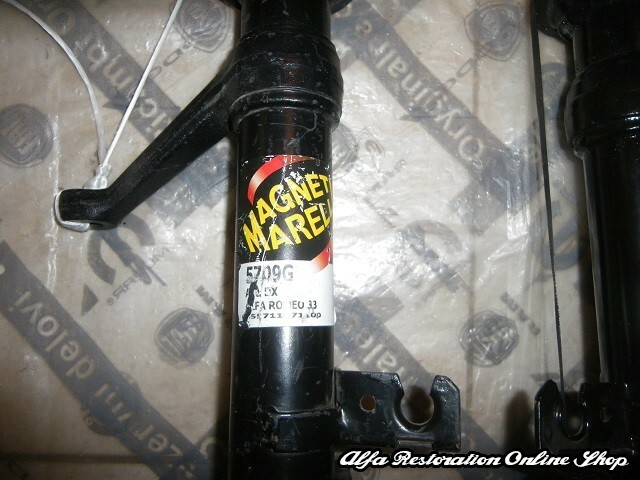 OEM part number is 60540536 (left side by BOGE) and 60540537 (right side by Magneti Marelli). 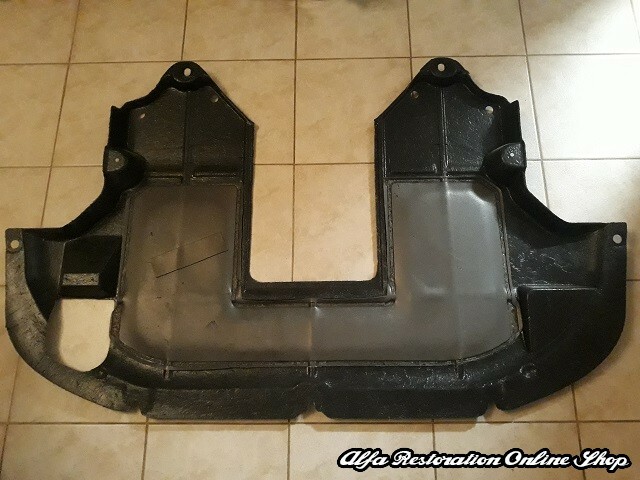 Suitable for the Alfa 33 905 series (1988 - 1990 models). Can be also modified to fit the Alfa 33 907 series (1990-1992 models) which feature the 4 nut shock tower assembly. The only difference between the two shock absorber types is the piston rod top which needs to be machined in order to fit inside the top mount. We can also do the machining for you. You may contact us to for more details on the machining process.